This is one of my absolute favorite crockpot recipes. I love a good pork rib, and the crockput just makes these insanly easy! Give them a try, it’s a whole new take on ribs! After the first time we made these ribs, we had to test them quite a few more times. As an excuse to eat them over and over. Holy Moly these are amazing. Luckily they are super easy, and take just a few ingredients so you can pull them together after you get home from work. Try them out and let me know what you think in the comments. 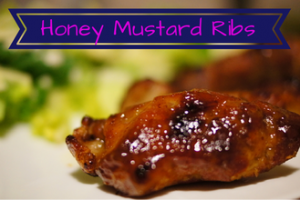 Try something new with ribs, honey mustard! 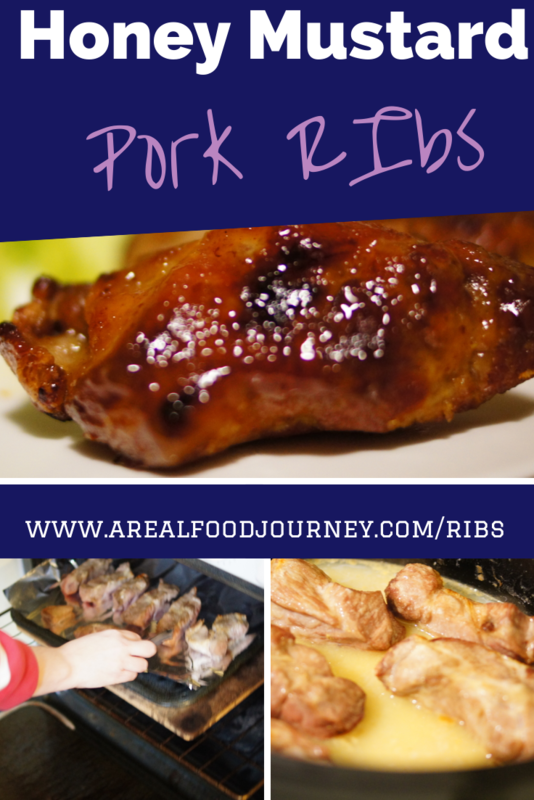 2lbs Pork Ribs– I used boneless- but you can use either boneless or bone in. Turn your oven to broil- place the ribs on a baking sheet lined with foil and broil the ribs about 10 min each side. You just want to brown the meat for extra flavor. While your ribs are under your broiler, prepare the cooking liquid. Right in your crockpot mix 1 cup broth, with 2 tablespoons of the mustard. Place the ribs into the crock pot and cook on high for 2 hours. The liquid won’t completely cover the ribs depending in the size of your crockpot, that is fine. Prepare the honey mustard before the 2 hours is up. Mix the remaining 2 tablespoons of mustard with the honey. After 2 hours remove the ribs from the crockpot. Place them back on the baking sheets and brush the ribs with your sauce. Place the ribs back under the broiler. This is really fast, don’t walk away. Broil about 3 min on each side, until the edges start to caramelize. Let cool and enjoy. Store in an airtight container in the fridge, if you have any leftovers! Make sure you check out last week’s podcast episode with Teresa from Living Natural Today! I love using my slowcooker! This looks great!